It takes a strong service supply chain — a complex mix of spare parts logistics, technical and field services and trade compliance services — to keep customers happy after the sale. It gets even tougher when the global economy turns south and demand decreases but service expectations increase. Managing risk during such times is critical. Explore ways you can mitigate risk during economic slowdowns by leveraging the service supply chain. Enterprises that prepare for financial slowdown are not corporate doomsayers; they are prudent risk managers. The signs are everywhere. International trade and investment are moderating, trade tensions remain elevated amid tariff wars, and financing conditions are tightening — all indicators of a slowing world economy. In fact, the World Bank predicts global growth is expected to slow to 2.9 percent in 2019. Flash Global, a leading provider of spare parts logistics and after-sales support for global high-tech companies, believes that amid the risk of current market conditions lies ample opportunity for scalability and stability. 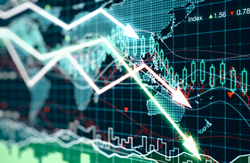 “Enterprises that prepare for financial slowdown are not corporate doomsayers; they are prudent risk managers,” says Ryan Miller, vice president of global marketing. Miller and his Flash Global colleagues will host a webinar, “Mitigate Risk during Economic Slowdowns by Leveraging the Service Supply Chain,” at 11 a.m. EST on Tuesday, February 26. This is the eighth installment of the FlashTube educational webinar series that provides a free forum for like-minded supply chain professionals to meet and discuss industry trends and the issues they face on a daily basis while striving to serve their end customers in the global marketplace. These webinars attract an audience from a wide range of industry verticals, including medical device manufacturers, energy, oil and gas, data storage, network hardware, telecommunications, retail technology and more. Watch archived sessions and learn more about the free FlashTube webinar series here. Headquartered in New Jersey, Flash Global designs and implements end-to-end service supply chain strategies for rapidly expanding companies, including many of the world’s top high-tech original equipment manufacturers. Through its unique Simplicity of One approach — one comprehensive suite of integrated services, a single point of contact and one contract — Flash creates custom solutions that enable companies to efficiently scale in countries all around the world. Companies leverage in-region and in-country expertise throughout Flash’s worldwide infrastructure of global service centers, regional command centers, distribution centers and forward stocking locations to seamlessly move products across international borders and serve their customer bases. To learn more about Flash Global, visit http://www.flashglobal.com.